In the early hours of April 30, 1948, a tall man, anxious and out of place, stood next to a peculiar little car on the exhibition floor of the Amsterdam Auto Show. Only 27 years old, passersby could not have known, nor would have guessed, that he was largely responsible for its creation. Wearing an unfamiliar placard, it was unlike anything else on display with its small size, boxy shape, and paucity of creature comforts. Nobody, not even the young representative himself, realized that day was one of the most significant in automotive history. When Arthur Goddard was chosen to present the newly revealed car, it was a decision made like many others over the course of the previous year––it was practical. He was available and as the primary engineer on the project, simply knew more about it than anyone else, including the sales people for whom the technology of the underpinnings was too advanced to fully understand. Unaware of how the car would be received, Goddard must have been elated, and equally relieved, when the first order for several hundred units rolled in, with thousands more requested shortly after. 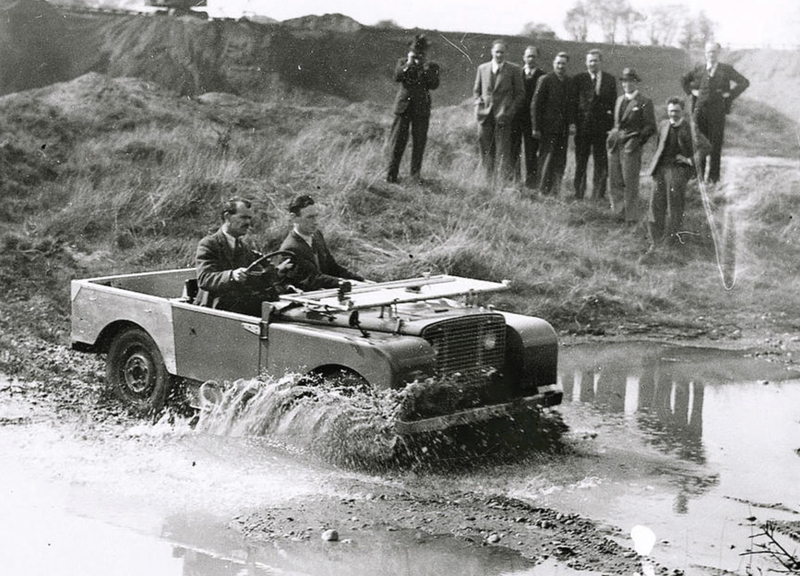 Within just a few years, the experiment known as the Land Rover would culminate in the sale of over 20,000 units. In doing so, it not only saved the Rover Company from the brink of financial ruin, it ascended to legendary status and went on to conquer the world over for the next 7 decades. It’s an unlikely story of a vehicle forged out of necessity and made manifest with a proven formula of determination, resourcefulness, and a deep well of dumb luck. Endless volumes of words have been penned about the aggregation of spare parts that eventually resulted in the first Land Rover. Those accounts are often aligned academically like the stacking of historical bricks. Joining them like mortar is an intricate and often overlooked crosshatch of happenstance. Had the precise events of the Land Rover’s inception not fallen into place exactly as they did, when they did, it would have never come into existence. 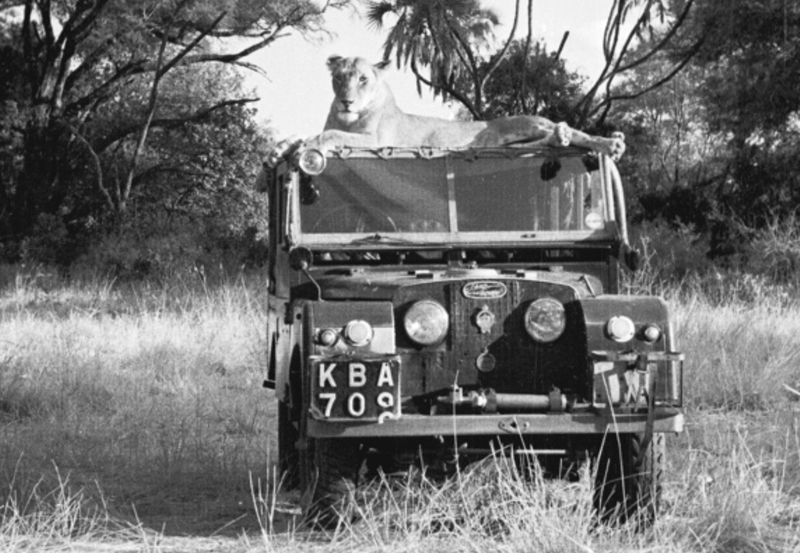 The actors within the Land Rover narrative are well known, and aside from Goddard include a small roster of men with lengthy lists of accomplishments long before, and well after the unveiling of their iconic vehicle. The most prominent were the Rover Company’s primary captains, brothers Maurice and Spencer Wilks. In the years following the Second World War, all of Britain was on the mend with austerity measures firmly in place while the government nursed the war-torn nation back to good health. That effort levied strict constraints on manufacturing, placing the Wilks right on the rivet of a tough decision. They could either shutter their factory, one paid for by the military for the manufacture of wartime engines, or they could go back to building automobiles as they had done prior to their call to duty. The obvious choice proved the most difficult. Postwar automotive manufacturing posed a gauntlet of limitations to overcome, the most severe being the rationing of steel. There was also a stiff tax applied to vehicles sold for personal use. Complicating matters, in a bid for foreign dollars essential to the recovery effort, the government imposed high expectations for exported product, something the Wilks knew nothing about. In their off-hours, the Wilks would often retire to their 250-acre family farm where Maurice would trundle around in a Willys-Overland Jeep, a castoff from the war years. Useful as it was, and despite Maurice’s mechanical skills, he could scarcely keep it running. Lacking a suitable substitute, he decided to replace it with a vehicle of his own design. As the well-known story goes, on a sunny day on Anglesey Beach, Maurice grabbed a stick and sketched the outlines of a new car in the damp sand. To the layman, it would have looked decidedly Jeep-like, as that is precisely what it was. It begs the question, had Maurice not owned a farm, or a cantankerous Willys, would the Land Rover have been realized? By early 1947, a final concept had been drafted and a business plan outlined to mitigate the constraints hemming in the project. To minimize manufacturing expenses, the new vehicle would be simple and reliable, even if it was austere and sparse of features. With aircraft production at a virtual standstill, the Wilks decided to skirt their steel limitations by tapping into the surplus of Birmabright aluminum alloy for the bodywork. The design of the sheet metal had a minimum of curves to simplify production efforts, and whereas the Willys was prone to rust and corrode, their vehicle would hold up to the wetter climates of the world. The small size facilitated exportation and the low weight helped increase fuel efficiency. Despite the narrow design parameters a plan was coming together, but not everything was scripted. Working the floor of the 1948 Amsterdam Auto Show, Goddard repeatedly told attendees about the design goals of the little car. The marketing campaign read, “For the farmer, the countryman, and general industrial use.” These were pursuits far removed from his mechanical expertise as an engineer. Just a few years earlier Goddard worked in the aero engine lab for Alvis testing, refining enormous aircraft engines. These were the days of directed labor when professional opportunities were highly influenced, if not outright assigned, by the government. Before long he was working for the Rover Company helping to develop their Meteor tank engine, a derivative of the Merlin aircraft engine of which he knew well. Had it not been for another twist of fate that might have been his lot in life. With the Land Rover project in its infancy and components beginning to be accumulated for the first test vehicles, Goddard found himself once again answering a knock at the door. The man charged with Rover’s engine development had crashed his motorcycle, badly breaking both legs. Wilks needed a motorman for the Land Rover project, and Goddard was already on the payroll. He quickly set to work with the rest of the team, most closely alongside Maurice Wilks. 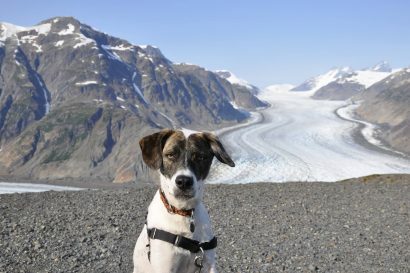 His first and most critical efforts were addressing issues with the small engine, but his attention extended well beyond his familiar field of expertise. They worked through challenges with placement of the steering wheel, quickly abandoning an ill-conceived idea of placing it dead-center in the vehicle. There were steering wobbles to overcome and engine mount locations in need of adjustment. Those fixes were plucked directly from the Willys Jeep. While their project was by no means a copy of the American vehicle, they were not above emulating its finer points. After exhaustive testing, typically done by the engineering team themselves, often while driving to and from work, the final product was ready for production. The end result was a mashup of ideas original, influenced, and patently purloined. The instrument cluster was located centrally on the dash because Maurice’s mother always placed a clock in the middle of her mantlepiece. The logo was all of his doing though. True to its mission as a farm car, it was fitted with a sophisticated four-wheel drive system so it could quite literally rove the land. When it came time to select a color for production, that too was a decision made by circumstance. Like the Birmabright on which it would be sprayed, the green paint used on the first few thousand cars was known as “cockpit green,” left over from the production of Avro-Anson military airplanes. As they knew it would be, the new Land Rover was attractive to military leaders throughout Europe who commissioned them by the thousands. It didn’t take long before weekly production at the aero engine lab for Alvis testing increased from 100 cars per week to 500. 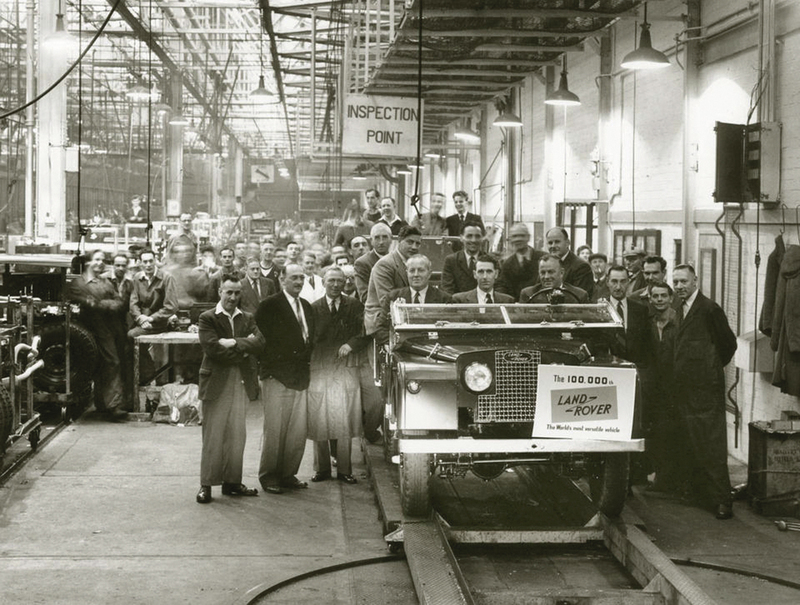 True to their initial objective, by the end of its production run in 1958 and the release of the updated Series II vehicle, exports of the first-generation Land Rover had reached 70 percent of the total number built. For a vehicle conceived on a Welsh beach and built on British soil, the little Landy was destined to travel far. Of the tools built for adventure and exploration, few if any equal the historic significance of the plucky truck from Solihull. Its no-nonsense utility and go-anywhere capabilities were an instant hit for motorists eager to push beyond maintained thoroughfares. 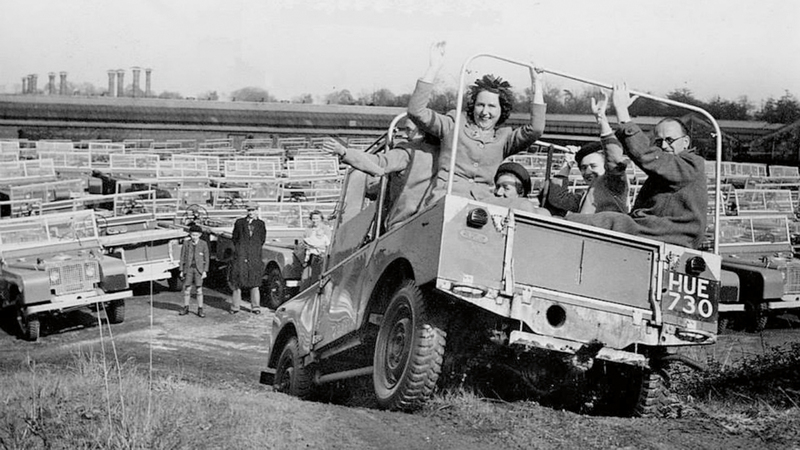 Prior to the 1950s, drivers only tackled tough terrain when forced to, but the early years of the Land Rover ushered in a new era of recreational motoring taking place well off the beaten path. Clubs were formed, events and competitions organized, and the vehicle’s capabilities pushed to the limits of man and machine. Before long, weekend forays proved insufficient to satiate adventuresome appetites and bigger challenges were plotted. 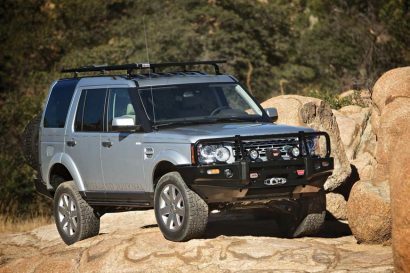 Only 5 years into its budding existence, the Land Rover became an integral component in a fresh and exciting age of bold exploits throughout the world. Places yet explored were within easier reach. 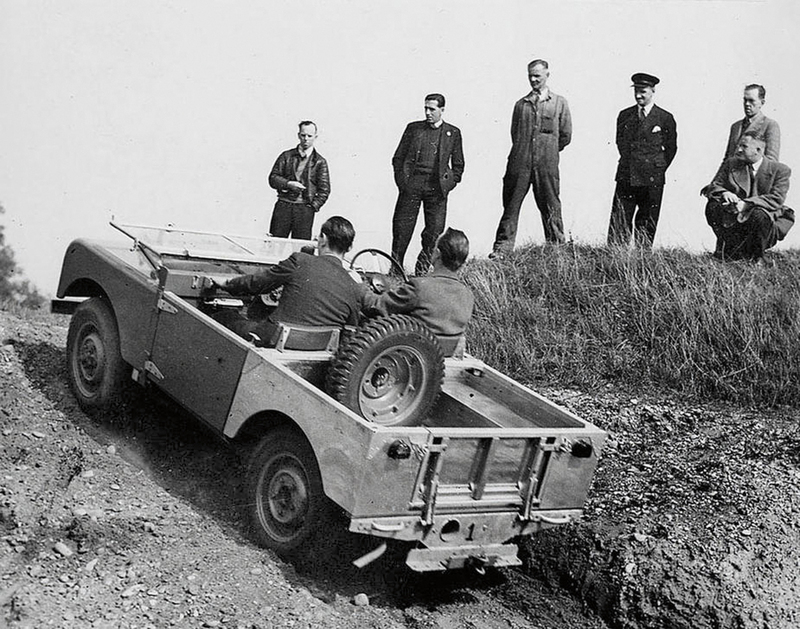 In 1954, Land Rover entered into a partnership with a team of dauntless young explorers from Oxford and Cambridge universities. 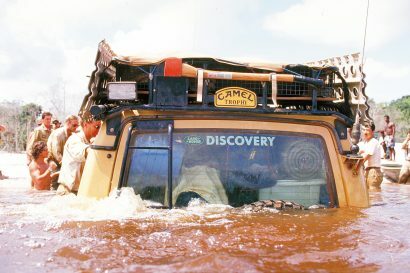 Over the course of the coming years (through 1958) three teams piloted stock Land Rovers in globe-girdling expeditions. The first was a 25,000-mile double- traverse of the length of Africa. The last was the crossing of South America. Without question, the most acclaimed was the 1955 Far Eastern Expedition linking London to Singapore, a trip known by many as “First Overland,” by virtue of the book of the same name by Tim Slessor. Further publicized by a BBC film series in the late 1950s, it embodies the spirit of overland travel even today. Few innovations have so effectively expanded horizons while at the same time shrinking the known world. 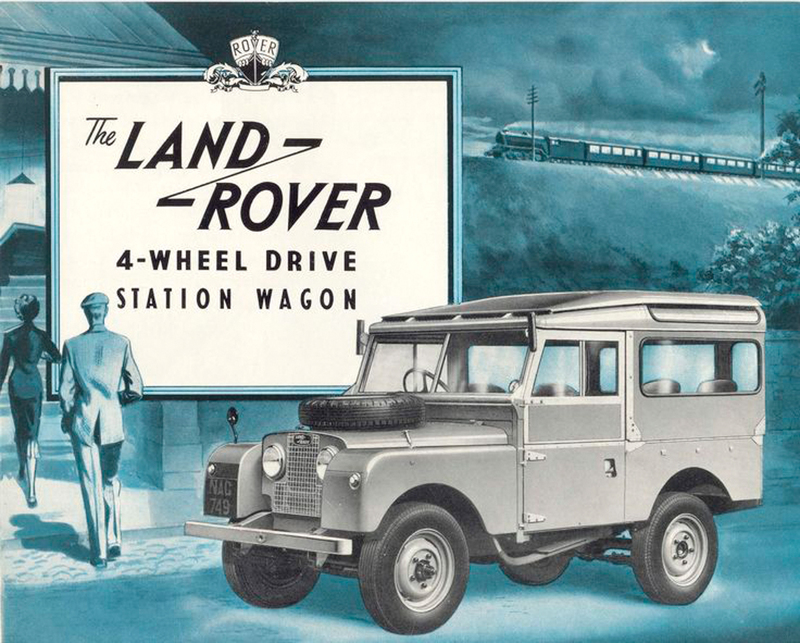 It has been suggested that for one-third of the global population, their first sight of a vehicle was a Land Rover. It’s unfathomable to comprehend the miles covered and the lands explored by the little car designed to plod around a local farm. Wilks and his team never fathomed their project would culminate in a production run spanning nearly 7 decades with more than two million vehicles built. When that final Defender rolled off the line in January 2016 it was a moment of jubilation, introspection, and for many loyalists of the brand, the heavy-hearted ending to a much-storied era. In attendance that day stood a tall man, no longer anxious but made confident by the accomplishments of his 95 years; it was none other than Arthur Goddard.